NEW MAIL ORDER Web Site, delivery, 2-3 day shipment ! We have all new inventory, AMAZING jewelry, banners of peace, crystals, cards etc etc, best inventory we have had in years. Our new Animal Medicine Cards. I love this set. This is the revised expanded edition , hard cover book $30 S and H is $8. 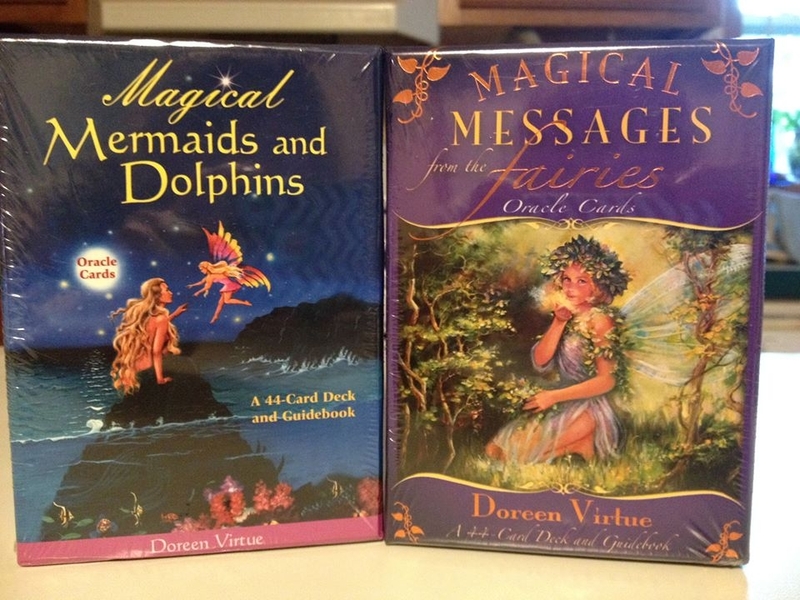 Magical Mermaids, Dolphins $16,Magical Messages The Fairies $16. MAIL ORDER Web Site, delivery, 2-3 day shipment ! Gift Certificates available for sessions or inventory ! Stones Of The New Consciousness a pictorial and information by Simmons, $20 and $8.00 S and H, a very big book. Become a Medical Intuitive, The Complete Developmental Course $25.00 and $6.00 S and H. The Red Tent by Anita Diamant same as the movie a 10th anniversary edition $16.00 and $6.00 S and H. Wise Woman Herbal Healing Wise by Susan Weed, I love this book $18 and $6 S and H. Lineage by Burson $18 and $6 S and H. To purchase pay on DONATION and add and S and H. If you want 2 day shipping please add $3.00 more. We have some BEAUTIFUL RARE Artemis crystals, 2-4 inchs long and thin. Two of them are singing quartz, making them even more special. These are very hard to find, we only have 3. The Artemis crystal , her goddess energy is for independence, freedom, love of nature and mother earth, she is a protectress of woman and children, wild places and creatures, she expresses strength and courage in the struggle for freedom, how appropriate that we took some of these crystals and left them at the Tree of Life in the Middle East. I LOVE this crystal and feel that EVERY woman should have one. It represents, in all aspects the Divine Feminine energy. 1 at $20 and the 2 singers are $28.00 each and we activate them just for YOUR energy. $7.00 S and H.
MAIL ORDERS AVAILABLE in 2-3 day shipment ! Please know that NONE of our crystals are heat treated! They are all natural, raw, gem and polished. Going Home; Assisting Loved Ones and Animals to the Other Side, The Teachings from Archangel Michael . With the purchase of the Going Home book you will receive a personal written message from Archangel Michael and Kari will autograph the book $25. Simple Daily Prayers and How To Meditate, ( our best seller ) $25 , Living The Law Of Attraction. Everything You Need To Know About Life and How to Create The Life You Want, NOW ! a book and workbook, this is exactly how Kari manifested Namaste 20 years ago $25, Walk-Ins On Earth Assignment, Kari is a conscious Walk-In has has assisted thousands of Walk-Ins , $20. Kari now has FIVE Published books. The wonderful thing about Kari's books; they are TEACHINGS from the Archangels, Master Jesus and the Masters, not just books. Living The Law Attraction (left ) is a book and workbook, it is exactly how Kari manifested Namaste 19 years ago, 10 years before the Secret came out. She has been teaching the Universal and Spiritual Laws for 19 years. Going Home (middle ) is a wonderful book that was written when Kari's daughter crossed over, her daughter Holli helped from the Other Side to bring this book through, it is GREAT for Hospice. We will eventually all go through this process. Many Walk-Ins (right ) are taking place at this time. This book really explains the process and gives you the tools to help those in the process. Also, covers the Oversoul and Soul Merge. 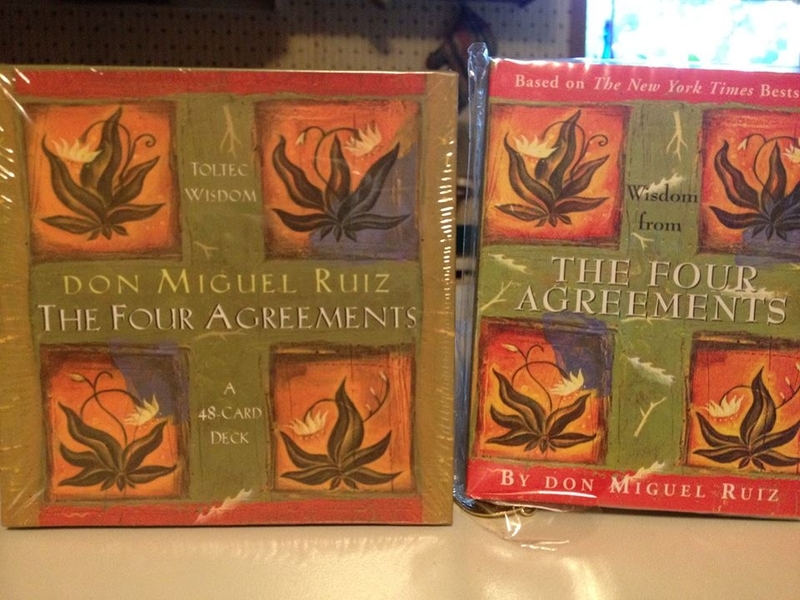 Acutonics: There's no place like OHM, sound healing, oriental medicine, and the cosmic mysteries, $65.00. Golden Sheen Obsidian Arrowhead: This is the most beautiful golden sheen obsidian arrowhead I have ever seen. This was from my father and was found while he and my uncles were logging in Flagstaff, AZ . in the 1950's. This is the REAL deal from the early 1900's and the energy, information and healing that this obsidian contains is nothing short of miraculous and amazing. Very large at 5 inches x 3. $222.00. These very special Divine Tachyonized Healing Templates carry the very energies of the Angels and Ascended Masters in each template. Sacred ceremony and prayers were infused with each template including, activations, the Angels energies, the Elemental energies, Reiki, the Violet Flame of Transmutation, All Rays from the Heart of God and the Christ Consciousness energy. All crystals were activated for their properties. Great for Healing, Grounding and Protection. The templates work extremely well with all healing modalities and techniques. The Masters were present and their energy infused into the templates during their creation. In tradition of the Sacred Arts, these pictures incorporate the energy, the divine proportions, numbers, geometry and symbols. These templates are beveled flat, thick tachyonized disks which are placed on the chakras ( energy centers ), any area of concern or held. They are also GREAT for group meditations. The tachyon and quartz in the glass amplifies the energy field to such an extent that each template acts as an Interdimensional Window which channels energies from the Angelic Kingdom/ Realm. By placing them on several or all the chakras at the same time produces a truly intense healing session. The templates work extremely well with all healing modalities and techniques. They are created in beautiful colors, sealed in copper and come with suggested instructions and a chakra chart. Each template carries it's own vibration/ energy and purpose. Tachyon energy is not a certain energy, but rather includes ALL energies in itself. Tachyon is source energy. What Tachyon does is give our organism, our body, our subtle bodies the chance to produce whatever effects they need. Tachyon energy is the gateway back to Zero Point energy. Zero Point energy is the source of EVERYTHING. Same as the Amega Wand. BELOW -They are available in: 3 in. round templates, NOW $30. 00 was ( $ 45.00) ANGEL Series: The Great Archangels and Their Divine Complements. Both Angels are on one 3 in. round template. Below are all 3 inch. Left is Angels of Love AA Chamuel and Charity and Angels of Hope AA Gabriel and Hope. Right is Balance/ Throat no fear to speak your truth and Rose Heart Healing with Mother Mary. BELOW - The 2 in. round tachyon templates, Now $22.00 was ( $35.00) Channeled through Rev. Kari Chapman and ( Hallie Deering for the Angel Academy, from the Spirit realm.) Hallie's book: Do It Yourself Power Tools. Left to Right.. Small 2 inch templates S and H $5.00 for 1 and 2, $7.00 for 3 or more. 1, Mother Mary, 2, Saint Germain, 3, Violet Flame and Knights Templar, 4, Quan Yin, ( 3 inch templates ) 5, World Healers and Servers of Peace, 6, the Kodoish, Kodoish, Kodoish, Adonai Tsebayoth symbol, and 7, Peace for ALL. S and H for 1 3 inch is $5.00, for 2 or 3 $8.00. TOP LEFT: 1st and 2nd Chakras, Protection, Grouding Template: Very powerful. The template is Mahogany Obsidian, entire template is covered in beautiful polished garnet, with ruby, hematite, red tigers eye, mica, snow flake obsidian, pyrite, red jasper, amber, citrine, carnelian and black tourmaline. Comes activated for protection, grounding and healing for the 1st and 2nd chakras. $40.00, S and H $8. TOP SECOND: ALL CHAKRA Healing template, ( this is a VERY SPECIAL template) the template Clear Quartz and the entire template is covered in beautiful polished amethyst, rose and lepidolite with a nautilus shell, ametrine, kyanite, sodalite, rose quartz, iolite, amazonite, amber, pyrite, carnelian, petrified wood, citrine, carnelian and garnet . $ 42.00, $8.00 S and H,. TOP THIRD : This ALL Chakra template, The Template is ametrine and the ENTIRE template is covered with beautiful polished amethyst, lelidolite and rose with blue chalcedony, amazonite, RARE Rutilated Citirine/Smokey quartz, sunstone, citrine, golden healer, iolite, kyanite and snowflake obsidian., this TRULY is a very special template. $44, S and H $ 8. TOP FORTH: Heart template, template is green Epidote ( heart ) and copper ( amplifier ) and the entire template is covered with beautiful polished rose quartz and green quartz, with green tourmaline, chrysocolla/gem silica, pink and green unakite, pink and green prehnite with thompsonite, kyanite, rhodocrosite, tanzanite, iolite, malachite, emerald and selenite. $40.00. S and H $8. BOTTOM LEFT: Throat, template is blue lace agate and the entire template is covered in beautiful polished lapis lazuli and dumortierite with chrysocolla, green quartz , with a beautiful gem blue apatite, sodalite, turquoise, iolite, gem silica, kyanite, crystal azurite with malachite, tanzanite, $38.00. S and H $8.00. BOTTOM CENTER: Crown and 3rd Eye template, the template is a beautiful crystal lepidolite and the entire template is covered in beautiful polished fluorite, lepidolite, amethyst and rose, with a large rutilated quartz in the center, iolite, selenite, topaz, purple fluorite, kyanite, tanzanite and garnet. $38.00, $8.00 S and H. BOTTOM RIGHT: A very special ALL Kyanite crystal template, the entire template is covered with beautiful polished lapis lazuli with blue lace agate, crystal azurite with malachite, chrysocolla, gem silica, sodalite, crystal blue apatite, tanzanite and iolite. $32.00 and S and H $8. These are PROTECTION CAR Templates: We activate a matrix of protection for your vehicle and all who ride in it. The one on the LEFT . The Template is petrified wood with a dove feather, clear quartz, tiger eye, pyrite, hematite, rose , mica, black obsidian, mahogany obsidian, sage and pipestone, comes with double sided tape for your dashboard. $25.00. S and H is $8. MIDDLE: The template is pottery from Flaffstaff, AZ. With a beautiful iridescent Turkey Feather which is Spirits way through the turkey, saying to you, Thank You for all you give and for your sacrifices for others and self. With Pyrite, hematite, carnelian, rose, black obsidian, mahogany obsidian, clear quartz, mica, pipestone, sage and prayer bundle for protection, comes with double sided tape for your dashboard. $35.00, $7.00 s and h. RIGHT: This TRULY is a VERY Special template. Mother Earth and the Elementals asked me to create this. This template is not only for connecting with Mother Earth and the Elementals, but is also for the HEALING of Mother Earth. The Template is beautiful polished petrified wood, with multiple phantoms( for healing mother earth ) clear quart channeler/transmitter with rain forest jasper, mica, Tibetan black quartz, red and white coral, rose quartz, a buffalo that is green jade, a dolphin clear quartz crystal, amber, sage and a dove feather for peace. 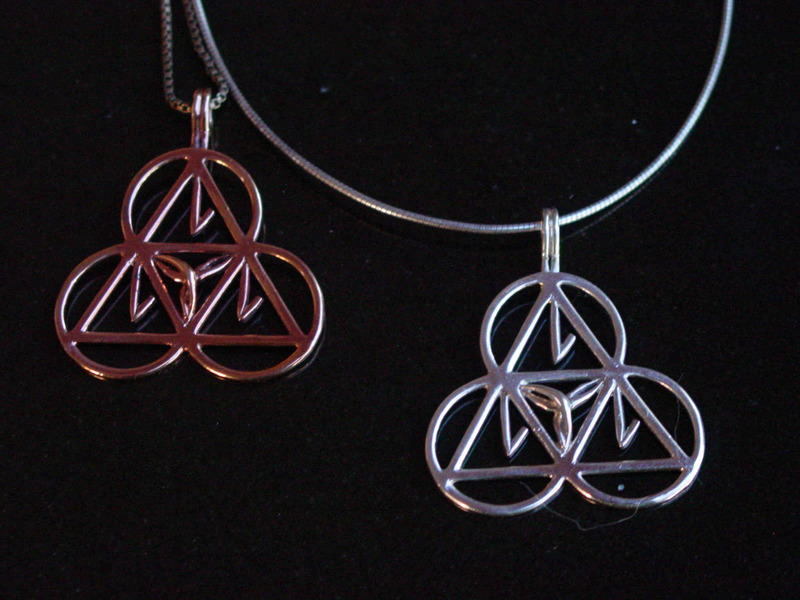 $38 and $7 s and h.
These are available in Silver and Copper $111.00 each. Very nice size at, 2 inches x 2 inches . THE most amazing crystals for the times we are in, I LOVE mine. LOVE these. 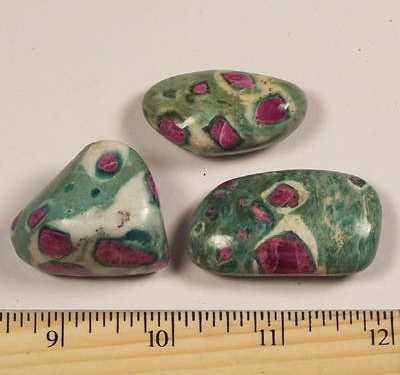 Tumbled Ruby Fuchsite (India) - Tumbled Stones A BEAUTIFUL energy filled stone. Get yours NOW . I could only order a FEW ! In addition to the properties listed this mineral assists in the understanding of the process that are both adapting and dispersing. It promotes the examination of issues related to basic foundations and personal concerns, including problems and solutions related to interactions with others and the material world, shared interests, vocational objectivities, physical being and well-ness, and productivity. One may access information concerning the maintenance of the physical health, daily routine, schedules and scheduling, stress, pets, mainstream enviornments, co-workers, and career. Eliminates any type of servitude issues, bringing the light of knowledge if innate perfection being within each person. It further helps one to "bounce back" after tense situations in the physical and/or emotional. The combination of Ruby and Fuchsite help to open and enhance psychic awareness. Laying with Ruby Fuchsite on the Third-Eye can awaken latent psychic abilities by opening up the Heart Chakra to receive information from the Third-Eye Chakra. Use Ruby Fuchsite when working with any healing modality as this stone will help to amplify the body's energy field. All 3 volumes of the Telos series, volume 1 ~ Telos Revelations of the New Lemuria, volume 2 ~ Telos Messages for the Enlightenment of a Humanity in Transformation, volume 3 ~ Telos Protocol of the Fifth Dimension. All 3 by Aurelia Louise Jones, and Telos, First Contact Original Transmissions from the Subterranean City beneath Mt. Shasta. I HIGHLY Recommend them all. VERY IMPORTANT Below crystals that we should be working with at this time. This is a MUST have for the times we are in. COXENITE within AMETHYST, these beautiful pendant crystal stones, very large pieces and all wrapped in Sterling Silver ( SS ). Cacoxenite, a beautiful color of gold. It is THE perfect stone for the energies we are going into and for bringing through and anchoring in the Divine Consciousness. This mineral Cacoxentie within Amethyst is called " The Stone of Ascension" This stone instills the concept that there are truly "new" things and ideas to be brought forth; the energy provides a mode of creativity that foster the occurrence of thoughts that have never "been thought before". Hence, the mineral assists one in bringing NEW IDEAS to our humanity. A Stone of Ascension, being used by many during planetary alignments, world meditations, and during the full and new moons, in order to increase spiritual awareness on ALL LEVELS, to transfer healing energy to the Earth, and to provide a loving and ethereal connection between ALL of the Universe. Used to bring one's personal will into harmony with the Higher Self/ Oversoul ! A mineral to bring rainbows to ones life, allowing one to see the positive, beneficial, and constructive forces of all EVENTS and Conditions. It serves to activate discretion based upon wisdom and discernment. Used in Holistic treatments. Pendant wrapped in SS. $22 and $23 A MUST for the energies we are now in. Tibetan Black Quartz: Contains Manganese. (To me personally I would not think of doing any energy work without them). Come from the Himalayas of Tibet, among the most sacred areas of the Earth. Carrying or wearing one creates a "bubble of Light" around the body, allowing only positive vibrations. THE most powerful stones of spiritual protection EVER found. ( and I agree ) Used in Making crystal grids around ones meditation area, creating a mini vortex of positive and good vibrations. RITUALS done with TBQ will be amplified in power and pure in their positive effects. Contains the very powerful OM vibration. MICA: Used to gird areas which are prone to earthquakes, acting to relieve the internal stresses of the Earth without producing dysfunctional situations. Translucent Green GAIA Stone: A Beautiful energy filled stone. From the melting ash from the Mt. St. Helens volcano eruption. Carries the energy of the "soul of the Earth". It helps in opening the human heart and linking oneself emotionally to the Earth. PHANTOM Quartz Crystals: Symbolizes universal awareness. It is one of the Earth stones to be used for redemption and cleansing of the Earth. The energy of the phantom works to bring together the participants of humanity to SAVE the Planet. Angelite: Discovered in Peru during the time of the harmonic convergence ( August ) and is the symbol of the verbalization and communication of LOVE and Light to the WORLD. It provides a protective field around the environment in which it is placed. Peace to the World and the Brotherhood both within and without of the galactic configurations. Telepathic communication is enhanced, contact with other worldly beings and angels is initiated. Dispels anger. Serpentine: Opens the heart and stimulates on opening in the pathway through which Kundalini may travel. Will help in the rise of Kundalini. Healers Gold: (pyrite and magnetite) Allows one to connect with the energy of the Earth and channel that energy through the body. Brings through Prana. Allows one to work in healing or energy work without DEPLETING their own energies. Very grounding. Rain Forest Jasper: Connection with the Fairies, Nature Spirits and the Elementals. GREAT grounding and protection stones are : Obsidian: both grounding and for protection. Rainbow Obsidian: Protects one from the environmental negativity. Very Grounding. A stone of PLEASURE and ENJOYMENT, bringing Light and Love into ones life. Awakens the totality of ones spiritual energies. Black Tourmaline: both grounding and for protection. Pyrite: Having a piece on ones person brings in the protective shielding aspects which works on all levels. When carried or worn it helps to keep away all forms of negative vibrations and can work to allay physical danger. Petrified Wood. Very old Ancient wood which has been crystallized. Some have opalized Great from grounding, connecting with the Standing Talls ( trees), strength and wisdom. Stone of Transformation. Master number 77. Bronzite: It helps one in all facets relative to SERVICE, bringing the value of assistance to the forefront. It is a "Stone of Courtesy", promoting loving equitability and unprejudiced discernment within the user. It provides one with the Courage to "Do" during the action of "Being". KYANITE: Is one of only two minerals/crystals in the mineral kingdom which never needs cleaning or clearing.. It will not accumulate or retain negative energy or vibrations. The energy of Kyanite is UNLIMITED in application making it one of the very best attunement stones. Kyanite aligns all chakras automatically and immediately with no conscious direction. If directed with consciousness of the user, it can also open all the chakras, align the emotional, intellectual, physical, spiritual, ethereal, mental and astral bodies. It will align all bodies with all chakras. Kyanite facilitates meditation and channeling. It stimulates communication and psychic awareness on ALL levels. There are a few kyanite crystals that are just beautiful and have a very deep blue LINE running through them. I was told, that these special ones are carrying a magnetic strip, that is helping us with the new DNA encoding. I use kyanite with ALL healings. I have a few rare Black Starburst Kyanite and green. GOLDEN HEALERS: The color of these are amazing and very golden. Many are self healers, record keepers, dolphins, and rainbows. A MUST for all healers and those who want to heal self, Great for, master healer, golden ray energy, connect with spirit and source, dissolves and release blockages, cellular balancing, restores natural rhythm, assists with adjusting to change and stimulates JOY and the inner child. The DOW ( without any need of programming, this crystal already carries and holds the Christ Consciousness energy ) all our DOWS are multiple Phantoms, Multiple Records on the Record Keepers, Transmitters, Channel Crystals, Self Healers, Isis, Left and Right Time Links, Keys, Spades, Dolphins, , beautiful ( raw and polished ), Bridge Crystals, Manifestation Crystals, and very RARE . Palo Santo "Holy Wood " please read below information , Blessed Holy Water and Blessed Holy Oil all available at Namaste. You can purchase a KIT. The OTTO or the OM tuning forks which is the tone and sound of our Beloved Mother Earth, and God/ Creator, we use these directly on the body and spine, $50 for each one, the Perfect 5th which is 2 tuning forks, the C and G, $ 60 and the NEW tuning fork video for $35. NEW book out by Dolores Cannon, I love this book and the information it has. The Three Waves of Volunteers and The New Earth a MUST read, $18.00 Which Wave are you ? SUGILITE: Known as Royal Luvulite. Violet-pink to purple. Is a "Love stone for this age", representing the perfection of the spiritual love of " All That IS" and facilitating the manifestation of this energy on the earth plane. It is used to protect against the harsh realities of this world and to enable one to willingly accept being here and living now. It has surfaced now to bring special healing powers to humanity. nice size, beautiful purple color $6. each. This is a MUST have at this time on earth. Kyanite, gem quality, only got a few of these. Very deep blue, nice size polished $6. below information. Just arrived : These are without a doubt the most amazing and loving crystals I have experienced in a very long time, when working with both the white Moldavite and the green, they produce an AMAZING balance of the stars and earth. Kari. WHITE MOLDAVITE, we only have 1 piece. From the GEM SHOW in AZ. We have some of the most beautiful SPECIALTY clear quartz crystals in from Brazil and very clear ones from Arkansas. Specialty Crystals : CITRON: A form of chrysoprase, a beautiful light green color, great for attracting positive energy, balances yin and yang energies, aligns the chakras, opens the heart, acceptance of self, and assists in depression. GOLDEN LABRADORITE : Protects aura, attracts strength and perseverance, reduces anxiety and stress, and connects with the universe and creator of all that is and the golden ray. CATS EYE: amplifies happiness, serenity, luck, protection and intuition. The beauty of the NEW Crystals emerging from Mother Earth at this time is that they all seem to carry 2 or more Specialties with in them, many have 3 and 4 of the above in ONE Crystal. We have the very rare White Jade, a very large single point Celestite from Madagascar, beautiful Black Tibetan Quarts that are Herkimer Diamonds, ~ Septarian Nodules, Very RARE DNA stones these are very special and can adjust what ever is needed in your DNA, beautiful polished Ametrine, Chlorite in Quartz, and Cuprite. Just to mention a few. Stop on by and see all the new crystals and stones. Orange Kyanite : Just emerged from Mother Earth last year .Very rare from Tanzania. Amazing vibrant orange crystals, high vibration stones. Orange Kyanite is a stone that is full of light and sunshine. Like other colors of kyanite, the orange will open balance and align all chakras with all bodies, the physical, mental, spiritual and emotion, however in addition it will bring LIGHT and SUNSHINE into the chakras as well. It will help us to look within to gain insight into the root of our pleasures and desires. The vibrant orange will enhance our creative center, and bring a higher frequency to our creative endeavors. It will help to combat dark depression. Works great with the second chakra also called the " gut instinct" and to RENEW our passion for life. Never needs cleaning or clearing. We only have a FEW ! $5. The most AMAZING CARDS: Archangel Michael and the Spiritual Hierarchy Speak to Your Heart and Soul, Cards: $20, Beautiful Colors and messages. Palo Santo "Holy Wood " please read below information on this very sacred wood for protection/ ceremony and testimony. After smelling this very special Holy Wood at Peaceful Heart ( I immediately felt a overwhelming sense of peace and clear energy ) and working with it first hand on all the negative energies and entities around in the last few months I have come to swear by its use and ability to keep me and everything and everyone clear of entities, energies, attachments and evil. It works WITHOUT a Doubt ! The majority of the healing work I AM doing right now is dealing with evil on the planet at this time and EVERYONE is being affected by its presence. I started sharing the results with people and they have reported the same GREAT effect from the Holy Wood. All I can say is this " when negative entities, attachments and energies are around when I start to burn the Holy Wood and do my prayers the evil IMMEDIATELY leaves. IMMEDIATELY and Automatically. It is so AMAZING to witness the results from this very sacred wood. Love Kari. We do have plenty on hand to purchase at Namaste. $3 sticks. Pacific Coast, Ecuador : Palo Santo, Bursera Graveolens, is an aromatic tree native to the Galapagos Islands and the dry forests of South America. In traveling along the coastline of South America�s Pacific coast from Northern Peru to Ecuador one is captured by the perfume of Palo Santo. If you follow the perfume trail you�ll reach the Machalilla National Park, located in the Province of Manabi, on the coastline of Ecuador, where you will find the biggest concentration of Palo Santo trees in all of South America. As in Peru, the Palo Santo tree in Ecuador is protected by the national government and can only be harvested under strict conditions. Shamans Market supports these sustainable practices through its association with Deltatau Palo Santo Foundation of Manabi. When walking the trails of the Machalilla National Park with the sun at its peak, the brackish air from the ocean fills up with the aroma of the Palo Santo resin and you are filled with a sense of peace and tranquility. Used for thousands of years by the Indigenous Peoples of the Amazon for its medicinal properties and fragrance, Palo Santo truly deserves its name as the "Holy Wood". Spiritually, Palo Santo is often used for purification, meditation, to increase flow of the bodies energy, to ward off bad energy/spirits, misfortune, and calamity. Palo Santo is a natural wood aromatic incense used for centuries by the Incas as a spiritual remedy for purifying and cleansing and to get rid of evil spirits, misfortune and calamity. The Holy Wood has often been used in Ayahuasca ceremonies. Testimony on Palo Santo ~ Holy Wood: I am amazed how this wood works. Palo Santo is " Holy Wood" and is one of the tools to use to clear out very dark energy........ " I ordered some and brought it to the store today and was smudging with sage and Palo Santo. I went into the display case and picked up a pendulum that has moldavite in it. I put it in the smoke of the Palo Santo and asked if it was of the light and It turned counter clockwise ( no ). I said if you are not of the light you must go now and there was a flash of blue light. I asked it if it was of the light and it said yes... moldavite is not of this planet and I am not sure where in the universe it is from but it does not follow earth or universal law..I am not saying all moldavite is bad. Discern for yourself... If people have dark energies even satanic energies in their home they will not stay in the influence of Palo Santo...and if you watched any of the freeman video you will know that there is a whole lot of that dark energy around...so one more tool for our tool box. ...thank you Kari for sharing this sacred wood with me, love to you, Lelie"
IMMUNE SUPPORT/ BUILDER System: I have some of my own blend of oils to help build up the Immune System. I LOVE this blend and it works ! I use Young Living Oils, a blend of Thieves, Peppermint, Lemon, Tea Tree, Lavender and Eucalyptus. Base oil is Jojoba, fast penetration into the skin. In glass containers. 1 ounce $20 and 1/2 $13. Rub on chest and throat or add 2 caps in bath water. NEW: I only have a few of these so if you want any I would do it NOW, they will not last in the store: All wrapped in Sterling Silver. All Polished and natural form. Azeztulite: Stone of the Nameless Light. Energetically unusual and RARE type of Quartz, found only in Vermont and NO. Carolina in the USE. It spiritually facilitates attunement to the vibrations of the Great Central Sun, the spiritual core of the Universe---dissolving patterns of negativity, moving one into higher states of awareness, spiritual being and enlightenment. $20-$22. We have 2 Azeztulite in rough form in pyramids $20. Danburite: Stimulates spiritual awareness and activates the crown chakra, the energy center at the top of the head. It is said to be a stone which connects with the realm of ANGELS and to be useful in communicating with them. $22. Tibetan Black Quartz: Contains Manganese. (To me personally I would not think of doing any energy work without them). Come from the Himalayas of Tibet, among the most sacred areas of the Earth. Carrying or wearing one creates a "bubble of Light" around the body, allowing only positive vibrations. THE most powerful stones of spiritual protection EVER found. ( and I agree ) Used in Making crystal grids around ones meditation area, creating a mini vortex of positive and good vibrations. RITUALS done with TBQ will be amplified in power and pure in their positive effects. Contains the very powerful OM vibration. $20. CACOXENITE within AMETHYST. Cacoxenite, a beautiful color of gold. It is THE perfect stone for the energies we are going into and for bringing through and anchoring in the Divine Consciousness. This mineral Cacoxentie within Amethyst is called " The Stone of Ascension" This stone instills the concept that there are truly "new" things and ideas to be brought forth; the energy provides a mode of creativity that foster the occurrence of thoughts that have never "been thought before". Hence, the mineral assists one in bringing NEW IDEAS to our humanity. A Stone of Ascension, being used by many during the myriad of planetary alignments, world meditations, and during the full and new moons, in order to increase spiritual awareness on ALL LEVELS, to transfer healing energy to the Earth, and to provide a loving and ethereal connection between ALL of the Universe. Used to bring one's personal will into harmony with the Higher Self/ Oversoul ! A mineral to bring rainbows to ones life, allowing one to see the positive, beneficial, and constructive forces of all EVENTS and Conditions. It serves to activate discretion based upon wisdom and discernment. Used in Holistic treatments. Pendant wrapped in SS. $18 and $20. NEW BOOKS: Oneness With All Life, Inspirational Selections from " A New Earth" by Tolle $16. The Lost Symbol by Dan Brown HB $27. Letter To My Daughter Maya Angelou $15. All Women Are Healers and All Women Are Psychics both by Diane Stein at $18 each. Goddesses and Angels by Doreen Virtue at $15. Indigo Adults $16. Mudra Charts laminated, $9 each. Books I just got in : Access The Power of Your Higher Self ( Oversoul ) by Prophet, Animal Spirit, almost 300 different animals, birds etc. pocket guide by Ted Andrews, Angels and Other Beings of Light by St. Germain, Indigo Adults by Jaffe, NEW The Miracles of AA Michael by Doreen Virtue . Cards: Feathered Omens Messenger Birds from the Spirit World book and cards by Ted Andrews, Messages From Your Animal Spirit Guides by Steven Farmer, Magical Messages from the Fairies by Virtue, Archangel Oracle Cards by Virtue, Mermaids and Dolphins by Virtue, Archangels and Saints by Virtue. Medicine Wheel Mix: Offering and Giving Thanks. The four Sacred Herbs for ceremony. Cedar, Sage, Tobacco, Sweetgrass with Shell: Use as offering, giving thanks to the Spirit Keepers of the 7 directions; North the Buffalo, East the Eagle, South the Coyote, West the Bear, Father Sky, Mother Earth and YOU. New shipment of the Tibetan Black Quartz, 20 % OFF ! which include All Double terminated, Herkimer diamonds, phantoms, twins, bridges, tabby, twinflames and dolphins. $5-15. ~ The Tibetan black quartz crystals vibrate to the OM signature, and they come from one of the most sacred areas of the earth, the Himalayas, they are among the MOST powerful stones of spiritual protection EVER found, they create a bubble of light around the body, allowing only positive vibrations to penetrate the auric field, placement of these stones in a area or living space can KEEP the area purified and cleansed of any negative influences. The black in them is Manganese. NEW ! Cherry quartz with copper $3 and $33, these are very nice ! Generators, Obelisks, Polished Selenite wands/blades 22 and 15, True Smokey Selenite Phantom with FULL Crystal inside a true Manifestation $55, RARE pink and green Apophyllite from Nasik 15, Huge Bliss Ruby and Sapphire from Madagascar $55,crystal Barite from Peru $13, rare Chiastolite 7, Dravite aka Brown Tourmaline from India 13, Gem Gold Champagne Tourmaline 8, Andalusite from Beiging 15, beautiful Rosetta Apophyllite from Jalgaon $33,, Bornite aka Peacock Rock 3-15, great for starseeds, indigos, all lightworkers and walk-ins. Labradorite polished ones, $4, and large polished ones $11, 2 beautiful polished Kyanite necklaces from Brazil $18 each, palm size Celestite ( angels ) Brazil 15, a 12 inch generator Selenite polished to a fine and perfect point Morocco $55. Rare brown tourmaline, Dows, 8 in amethyst wand, andalusite, beautiful kyanite, beautiful Mookite from Australia, beautiful Chalcopyrite the colors in this will blow you away ! , and much more. I made sure I got in a very special shipment of Crystals in. Some rare ones too. I will get the prices up ASAP or you can come by Namaste and see them for yourself. You can also stop by and see and play with them. I am putting in a new book order this week too, if you have any books you want to special order just let me know. Annette Price; A Week's Worth of Women; Poetry, Prose, and Memoir. Available at Namaste $14. A book I highly recommend for women and men wanting to understand women ! 50 % OFF on all DRUZY ! The most beautiful Druzy Quartz I have ever seen. Druzy Quartz (aka Drusy or Druse) is a thin layer of quartz crystals covering the surface of a host stone. Druzy is the crystals filled inside the cavity of a geode. It is well known that amethyst or citrine get the source of their color from this quartz crystal but usually Druzy Quartz takes the host stone's color which is seen through it as in chrysocolla. As in Druzy Chrysocolla, the rock is composed of agatized chrysocolla with crusts of small sparkling quartz crystals in tiny cavities. Druzy Quartz is said to aid in balancing and increasing energy. Since ages it has been used to diagnose disease and is believed to enhance natural extrasensory perception abilities. It has a joyous healing energy. Druzy quartz crystals help to energize and stabilize your subtle bodies. Try Druzy for energizing your Crown Chakra and aura as well as promoting creativity. $2 - $33.00 ea. We have many in and VERY LARGE ones at $88 and $55 ! Half off these prices ! For the very first time, I went through all my personal crystals and MANY of them spoke to me and now need to go to others for they can experience their energies of healing and messages. I have a number of One of a Kind jewelry, necklaces, earrings, rings and bracelets! They are NOW for sale. ALL of these are the very Rare, Masters Crystals. You need to come and see these and many, if not all, have traveled around the world with me and gathered all the energies from the sacred sites we visited and of course Namaste's energies. Prices vary. Beautiful Dog Tooth Calcite ~ Rare . $5-15 ea. Tibetan Black Quartz Phantoms, $3-15. RARE FOSSILS: Fossils are millions of years old and can help one to feel and receive those energies. Orthocerus from Morocco, squid 10 in. high 4 in. wide with 3 points $44, Turritella Fossil Agate3x2 $15, Fossil looks like a lobster 3x2 $8, fossil fish in rock 3x2 $8, jelly fish like fossil, 3 1/2 x 3 $5, clam like fossil $5, coral $2. Beautiful Emotion Rings. These rings are amazing. Let the colors convey your inner emotion. 12 colors and many sizes. The rings color changes as your emotion does, comes with information charts. $4 each or 3 for $10.00. Kari has many of her personal Rare MASTER crystals for sale. At which all have traveled all around the world and have been blessed with each ceremony, energy and initiation . If you are interested email or call Kari. NEW - On Oprah ~Eckhart Tolle: A New Earth (HB) $25 and Zecharia Sitchin~ Journeys to the Mythical Past (HB) $25. Sylvia Brown~ Temples on the Other Side (HB) $26 and Secret Societies and How They Affect Our Lives Today HB $25 and Phenomenon; Everything You Need to Know About the Paranormal (HB) $25. NEW arrivals ! NEW DVD :The MOST amazing moving I have EVER seen. One we HIGHLY recommend ! I took pages of notes and messages as I watched it. The DaVinci Code with Tom Hanks. A Ron Howard film. 2 - Disc Special Edition in Full Screen or Widescreen. WAS $30, NOW $15. NEW !!!!!! Mini Masseuse machine: An electronic stimulation massage unit uses copyright protected ultra smooth, deep tissue massage, kneading, butterfly or tapping sensations similar to technology used exclusively by chiropractors, physical therapists and sports trainers around the world. $99. SALE NOW $75.00. Much like the TENS machine. EVERYTHING you need is included ! All of the following books are from Elizabeth Clare Prophet: Understanding Yourself; Soul Awareness $8, Violet Flame $7, Soul Mates and Twin Flames $7, Saint Germain-Master Alchemist $7, and Lords of the Seven Rays $8. Esther Hicks ~ The Astonishing Power of Emotions, HB $25 and Esther Hicks cards, Ask and It Is Given $16. NEW 10th Anniversary Edition, by Twyman, Emissary Of Light $18. NEW 2nd Edition with CD Kenyon ~ The Hathor Material $20. The Emerald Tablets of Thoth The Atlantean revised by Doreal $16. How Psychic Are You ? 76 Techniques to Boost Your Innate Power by Soskin, $18. DVD's: Michael Moore's Sicko Special Edition $30 and his Fahrenheit 911 $15, Al Gore An Inconvenient Truth A Global Warning, $25 and $30, The Celestine Prophecy the movie, book by James Redfield $20, Indigo starring Neale Donald Walsch $26, ONE the movie A Contemporary Journey Toward A Timeless Destiny $30 and Chautauqua Then and Now, An Empowering Exploration of Universal Laws and the Realm of the Psyche.$22. NEW and RARE ~ Been waiting 12 months for these very special Polished Pink Rose Selenite. Beautiful and nice in size $ 4 each. These will not last. The Live Earth Global Warning Survival Handbook: 77 Essential Skills To Stop Climate Change, by David Rothschild $15. An Inconvenient Truth: The Crisis Of Global Warming, by Al Gore $16. Earth in the Balance: Ecology and the Human Spirit by Al Gore, this is GREAT $16. A very RARE Double Terminated DOW from Brazil $22, Rare Singing Quartz Double Terminated, twins, windows, dolphins, $11. 00 each. I love seeing how the mineral kingdom is evolving with many attributes in one crystal :-) Beautiful Clear TOPAZ from Brazil, gem quality the size of quarters, $11 each, LARGE Green and Pink Tourmaline, just amazing $33., Large Twin Soul and Self Heal $13., LASER Singing Quartz, record keepers, dolphins, chlorite $ 5. Black Tibetan Quartz and at a GREAT price, from $ 4- $11. Many are double terminated, chlorite phantoms, record keepers & Herkimer's. We have The Secret in DVD available at $30 each and the book The Secret $24, HC, Order yours NOW ! Spirit has asked Kari to create some GRATITUDE Rocks as shown in the movie, The Secret. Now, these are VERY special. They came from all over the world to Namaste, from Africa, South America, Europe and all over the United States. They were all taken with permission, in gratitude and appreciation and offering back. Since being at Namaste they continue to gathering all the wonderful love, healing, peace and gratitude. These Gratitude Rocks were created in gratitude and ceremony and contain all of these energies. Packaged with all information in muslin bags. 3 for $13 or 1 at $5. Gratitude Rocks with the word Gratitude etched on them $ 6 each with bag. All polished and we have them in Rose Quartz, Lepidolite, Black Onyx, Carnelian, Clear Quartz, and Mahogany Obsidian, without bag $5. Ruth Montgomery's books, all in good shape all for $2 each, all paper back. A World Beyond, Companions Along The Way, and The World Before. New Shipment of Clear Quartz polished points, phantoms, chlorites and lemurians, from 4-6 inches, great for healing layouts $4- $13 and some of them are double terminated. Beautify puffy hearts 1.5 inches, a good size Angelite $ 6 and Purple Goldstone $ 4. Beautiful Neon Blue, Gem Quality Apatite. Large pieces for $4 - 6 each, were $10. Been waiting months for the MUDRA Charts. Laminated 11 1/2 x 17 1/2. One side has the Mudras, the other side the hand positions/ what they mean and where they originate from. $9. Sound Healing Tuning Fork charts for the body 4 pages $16. 3 NEW DESIGNS : Dr. Masaru Emoto, Messages From Water, 16 reusable Water Blessing Labels. Transform your drinking water into Liquid Prayers. 5 collections, Healing Medicine, Personal Transformation, Awakening the Divine Feminine ( new ones in this ) and Sacred Symbols (new ones, has the word Namaste) ALL $ 9 ea. The most AMAZING Cards I have seen in a very long time, beautiful images, life uses many different means to deliver its messages :-) by DUGUAY, Messages Of LIGHT the magic of otherworldly images and key thoughts united on 54 illustrated full color cards with instructions $20 and by DUGUAY, Messages Of LIFE these offer a simple and rewarding way to communicate with all life force energy, with instructions, $20. Animal Spirits, knowledge cards by Susan Seddon Boulet with booklet $10. Much more being added daily, Kari- 10-06. Sacred Path Cards and Book by Jamie Sams $36 and the workbook $16. The Einstein Factor- A proven new method for increasing your intelligence. 6 cassettes $40. Gratitude Rocks in suede pouch for around the neck $10ea. Lavender, Russian White Sage and Cat Nip all grown here at Namaste with love and gratitude, large bags $2 ea. NEW books: The Secret Gateway: Modern Theosophy and The Ancient Wisdom Tradition, by Abdill This book is a wonderful book for an easy way to understand Theosophy and M. Blavatsky $16, Crossing Over by John Edwards, I love Johns soul energy, this is a great book HB $24, Hikers and Backpackers Survival Companion each $10. DVD's ~ Quantum Edition of What The Bleep Do We Know $30, Down The Rabbit Hole 3 DVD's $30. Ramtha: An Initiation to Open Your Mind "Create Your Day" $25. New Jewelry: Om Nama Shivaya bracelets in copper, silver and brass combined, Sanskrit " I honor the God Force which Purifies my body, mind and awakens me to my inner self" helps align with our divine presence $10 each. TWO Beautiful Butterfly necklaces in Amethyst $15 each, Large Cross with large faceted Smokey quartz, Carnelian and Black Onyx with matching Carnelian earrings $25 for the set. New Crystals: Beautiful large 9 inch Selenite Phantom Wand $25, Large Selenite diamond shape template 5x8 $22, Snowflake Obsidian 6x4 flat on top $15, and one 3x4 $11, Very rare Hematite and Pyrite 4x4 $9, Beautiful Large polished PREHNITE from India 3x3 $6.Beautiful Natural Ametrine Points ( amethyst and citrine ) 3 in.$4 each and 1 Twin. VERY RARE I have never seen this color before GREEN Goldstone ( very rare ) and Purple Goldstone, nice medium size $1ea. medium Tigers Eye blue and brown both with Hematite $1. Some Special Thoughts For My Friend: Glitter- To add some sparkle to your day. Stress Relief Kit: A Eraser so you can make all your mistakes disappear. A Penny so you will never have to say �I�m Broke�. A Marble in case someone says �you�ve lost all your marbles�. A Rubber Band to stretch yourself beyond your limits. A String to tie things together when everything falls apart. A Hug & Kiss to remind you that someone, somewhere cares about you ! Reminders from your Guardian Angel: Smiley Face- Smiling is not only good for your face-it�s good for others too. Band Aid- To soothe your hurt feelings and those of others. Rubber Band- In order to get along with each other we must all stay flexible. Eraser- To keep in mind that every day you can erase your mistake and have a fresh starting point. Paper Clip- To hold things together. Hugs & Kisses- We all need them often. Not only are they good to give, but also fun to get. Angel- To remind you that you are never alone. EACH Kit is $3.50 each or 3 for $10. Friends Survival Kit: #1- You, friend, are #1 to me. Candle- To remind you that you light up my life. Cotton Ball- To cushion those rough days. Crayon- To color your future bright and successful. Heart- To tell you how dear you are to me. Hug & Kiss- To remind you that you are Loved. 2 Pennies- To keep your �cents� of direction. Starburst- For a burst of energy when your running low. Thanks- For all you have done and meant to me. Treasure- To remind you that you are a treasure to me. Also available with mother, daughter, sister, brother, any name you may want :-) $4.00 each or 3 for $11. Will custom make any name or word/organization you may want at $5.00 each. All the NEW Da Vinci Books and Dan Browns new Angels and Demons is available and the NEW, Home with God ~ In A Life That Never Ends by Neale Donald Walsch. And I personally love this, a Treasure Chest Leanardo da Vinci and the Renaissance, things to create as he did. NEW ITEMS ~ by DUGUAY the most amazing color images of masters, angels and more, laminated 9x11 in, Never Alone, Initiation, Master Of My Life, Receptiveness, The Water Of Life and Following My Path all at $7. Acupressure's POTENT POINTS, a guide to self-care for common ailments by Michael Gach $20 and Acupressure for Emotional Healing, a self-care guide for trauma, stress and common emotional imbalances by Michael Gach $20. OVERTONING the complete guide to healing with the human voice by Wayne Perry $23. 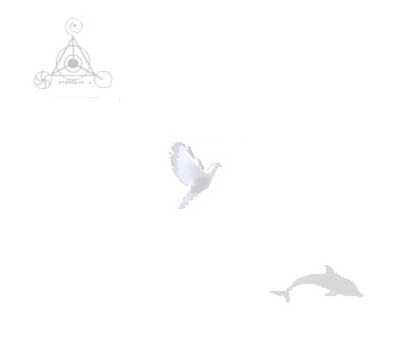 A guide to the Dolphin Divination Cards by Nancy Clemens a 354 page book $18, with the matching Dolphin Cards $11, Edgar Cayce on the Indigo Children understanding the psychic children, a great book $15. Bob Marley, what a true peace maker~ 60 Visions A Book of Prophecy by Bob Marley Leather Bond $13, 56 Thoughts From 56 Hope Road The Sayings and Psalms of Bob Marley $6, CD Legend the best of Bob Marley and the Wailers $19.50. AND African Masters and Mystery Schools by Rhodia Mann, this is one of the best books I have read in a very long time, the color images of all the masters, beautiful and very activating. This book covers information on the Master King Zhoser, very little written material about this Master and the Dogon Tribe, and many more, $13 these will not last. Many of us have been drawn to the healing of Coconut Oil, I have felt a tremendous shift since I have been taking it and cooking with it, for more info. go to www.tropicaltraditions.com/faq.htm. Books, The Coconut Oil Miracle by Bruce Fife $15 and Coconut Oil for Health and Beauty by Holzapfel $10. NEW DVD's ~ I had the wonderful opportunity while in Colorado this year to see these Native American movies. They literally opened my eyes ( a wake up call for me ) to what the reservations and life is really like for the Native Americans, I pray these will wake you up too :-) ALL in DVD: SKINS with Graham Greene $18, Dreamkeeper with soundtrack CD, $22, Pow Wow Highway, $18, Windwalker, Special Edition $20, Smoke Signals $18, and Last of the Dogmen $18. We have the movies Michael and Whale Rider and Fahrenheit 9/11. More Books ~ WE Remember- Stories of a Spiritual Awakening by Ranoli $22, great stories of many Walk-In experiences including Kari's. The Self Aware Universe by Amit Goswami $16, 25th Anniversary Edition The Toa of Physics by Fritjof Capra $16.The Reincarnation of Edgar Cayce by Wilcock $19, Alchemy of Nine Dimensions by Clow $17, Atlantis and Lemuria by Joseph $17, Ancient South America Edgar Cayce story of Atlantis and MU by Little $9, LaStone Therapy by Scrivner $15, Angels Numbers by Virtue $10, Music and Sound in The Healing Arts by Beaulieu $16, The Templars and the Ark of the Covenant by Phillips $16, Healing The Soul of America by Marianne Williamson $13, Psychic Protection by Bloom $11, Toning book by Keyes $13, The Shift-An Awakening by John English $15, Cranio Sacral Therapy by Upledger $15, ALL the following books are by CHURCHWOOD, The Children of Mu $17, The Sacred Symbols of Mu $19, Cosmic Forces of Mu book 1 and 2 $18 each. CRYSTALS ~ One of the most fun stones that I have come across in a very long time, polished Rain Forrest Jasper, the size of nickels and larger, Connection with Nature Spirits, Elementals and Fairies, $1 and 1.50 each. 2 beautiful Rune Crystal sets with velvet bags and instructions, Rutalated Quartz $22 and Selenite $24. Very large DOW ( carries the Christ Consciousness energy ) crystal 4x6 extremely clear, it is a Record Keeper and Lemurian $55. Very LARGE Black Tourmaline from Brazil 2x3 $5 and smaller ones 1x2 are $2. NEW Blue and Brown Pietersite polished, $1.50 each. Beautiful deep blue azurite crystals, great for speaking ones truth, communication and toning, $1 and $2 each. Beautiful Blue ( indicolite ) tourmaline, polished size of nickels $4 each. Large 1x2, True Sunstone $2 each. Very LARGE True Smokey Quartz, some are rutilated, 3x3 up to 5x5 $6 to $15. Divine Healing template for the Heart and all chakras, Kari just created this one in ceremony and prayer, with over 40 stones on it including Star Rose, Tanzanite, Chlorite and watermelon tourmaline $55. Gem Quality polished Chlorite Phantoms in Quartz, deep green, $2.50 to $5 each. These are ALL GREAT pieces. All are wrapped in Sterling Silver with attributes. Cuprite, the Healers stone $22, Healers Gold a must for all healers, $20 and 22, Indigo Kyanite, $18 and 20, :-) Iolite and Sunstone together what an AMAZING energy $22, Siberian Blue Quartz, beautiful cobalt blue $20, Gel Lithium Silica helps to calm all bodies $22, Nebula Stone, $15, Nuummite $22, Zincite wonderful stone for first 3 chakras $20. Beautiful boxed OCEANA Dolphin Cards, 20/envelopes,4 designs $15. BOOKS: The Prism of Lyra $12, Bible Code 11- The Count Down, H, $27, Keeping Heart on Pine Ridge $10, The Womens Dictionary-Symbols and Sacred Objects $27, Crystal Therapy, Doreen Virtue $13, Straight From The Horses Month-How to talk to animals and GET Answers, by Kinkade $15, Shamanic Wisdom Vol. 1 $11, and Vol. 2- The Way of the Animal Spirits both by Dolfyn $11, Marianne Williamson-Healing the Soul of America $13, The Book Of Alchemy, H, $17, Sigmund Freud-The Interpretation of Dreams $7, Freemasonry and Its Ancient Mystic Rites, H, $16. Gary Zukav- H, The Heart Of The Soul $25, Soul Stories $14 and Seat Of The Soul $13, Frank Joseph-The Lost Treasure of King Juba $18. Finally we got in 2 BEAUTIFUL Rainbow Moonstone necklaces, 36 inches, these are truly very special $22. Polished Rainbow MOONSTONES $1 and $1.50 ea. Polished Rainbow Obsidians $1 and $1.50 ea. Large Beautiful Gem quality Neon Blue Apatite $4 to $8 ea. Beautiful handcrafted Angle Plates with easel for wall too, blue, purple and pink $5 ea. Beautiful Hamilton Collection numbered plates, large size, These are limited edition plates from the Mystic Warrior collection, Deliverance, Spirit of the West Wind and Prayer to the Great Spirit $44 ea. ULEXITE or TV Rock, Can create a clear path and balance the male and female energy, helps one to see within self and to see into a problem in order for a resolution, great for manifestation, vibrates to the master number 33 and 8, $3.50 each. Moldavite, nice pieces $6 ea. Beautiful raw pieces of Emeralds from 8-20 carats, nice size at $ 2-5 ea. Videos, Michael, Whale Rider, Fahrenheit 9/11 and City of Angels all $15. The BEST oils that I have ever worked with from the Oneida Life Keepers, Pure Press Oils, I have personally used the Stress and Headache and THEY WORK, so I got some in for you !, $13.50 each 1 dram. New Crystals We also have Selenite wands, with no crystals on them, create your own chakra wands, 18-22 inches, GREAT for healing the back, spine, and activating Kundalini energy, $33 and 12-15 in. selenite wands are $22. each. SELENITE ~ CAUTION ! Please get permission from the soul before working with selenites infusion of light. Use with black tourmaline, smokey quartz and hematite to ground selenites high frequency light force. Selenite is used to align the spinal column and removes energy blockages, used for REGENERATION of the cellular structure and membrane linings, helping to overcome cancer, tumors, age spots, wrinkles and light sensitivity, It HAS been used to EXTEND ONES LIFE SPAN. These are GIFTS for those who are ready ! "Stress Buster" Dolphin Massager, Great for the back, shoulders, legs, arms, head, trigger points and acupressure. Full instructions $13. Edgar Cayce Certified 100% pure expeller pressed Grapeseed oil, 16 oz. $11. Brass Tibetan Bowl, large, $33. Seraphinite, Very Angelic and allows one to LIVE from the Heart, in SS, $22. Beautiful Large polished light green Prehnite from India, $6-$8 . Beautiful Rose Wood, Quan Yin statues in silk bags with zipper, comes in many colors, great to give as gifts and for Christmas. $9. PLEASE know that all of the Healing Templates were created in ceremony and in a sacred space infused with love, light, the violet flame, Reiki, the Christ Consciousness energy, and they rays from the heart and God, for all those using them will receive exactly what is to their highest good. NEW Angel Agates, large and all white, the size of a silver dollar $3 ea and smaller ones at $1. The newly emerged Sky Blue Adventurine, raw 2 - 3 inches, $1 - 1.50 each. Grade A large size Malachite, $3 each. Rare, beautiful heart stone Prehnite with Thomsonite, $1 - 3 each, 36 inch Beautiful Rainbow Moonstone necklaces, $22 each. Egyptian necklaces, the shape of the divine feminine goddess 3 inches on sterling silver chain $22, as a pendulum $15 comes in Rose, clear quartz, rutilated quartz, amethyst, green adventurine. 36 inch Peridot necklace, $16. Beautiful medium sized Infinity stones $4 each. 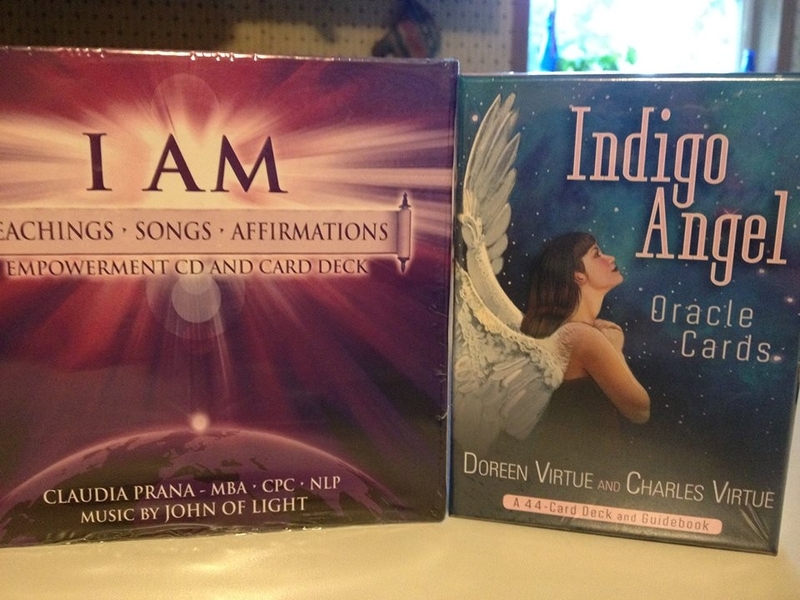 New CD's, just arrived, Kirtan, Chanting the Names by Deva book and CD $22, Jai Vittal- Kirtan 2 CD's $25, Ragani Best of Both Worlds, Kirtan $18, Shanti Shanti Dreaming in Real Time $17 and Shanti Shanti $18, An Angels Journey by Susan Mavity $19. The crystals that we used in the Yellowstone area for healing and protections are NOW AVAILABLE. I carry one of these with a black tourmaline and a watermelon tourmaline on me at ALL times. Get these NOW they will not last and are very hard to get. Black Hills crystals, I brought back from our Yellowstone trip some beautiful and very rare Yellow Lepidolite, these special crystals are wonderful and full of healing energy for our Mother Earth from Keystone, S. D., $8 each, also, the most beautiful Petrified Wood from the Black Hills, these are GREAT for grounding and connecting with the elementals and for protection, $8.00 each the Red Feldspar is the most beautiful I have ever come across and they are all 1/2 full of Black tourmaline, some muscovite and mica from Custer, S. D. $6 each and beautiful Rose Quartz from Custer, S. D. $5 each. All pieces are large from 3-6 inchs. NEW ARRIVALS: The Magdalen Manuscript by Tom Kenyon and Sion $19 and the companion CD The Alchemies of Horus Energy Meditations from The Magdalen Manuscript $19 ~ White Gold Alchemy CD, Tools For Transformation by Tom Kenyon $19, The Hathor Material @ $13 and the books companion Hathor Self Mastery Exercises tape only @ $17.00, The Ghandarva Experience ( this is profound ) in CD @ $18.00, (in this recording Tom Kenyon chants and tones the Archangels, the Sacred and Holy Names and the 23rd Psalm) with full instructions for groups and history. I highly recommend ALL, the tape is @ $16.00, The Da Vinci Code, by Dan Brown hard cover $25, The God Code by Gregg Braden hard cover $25, The Force Is With You by Stephen Simon $15. 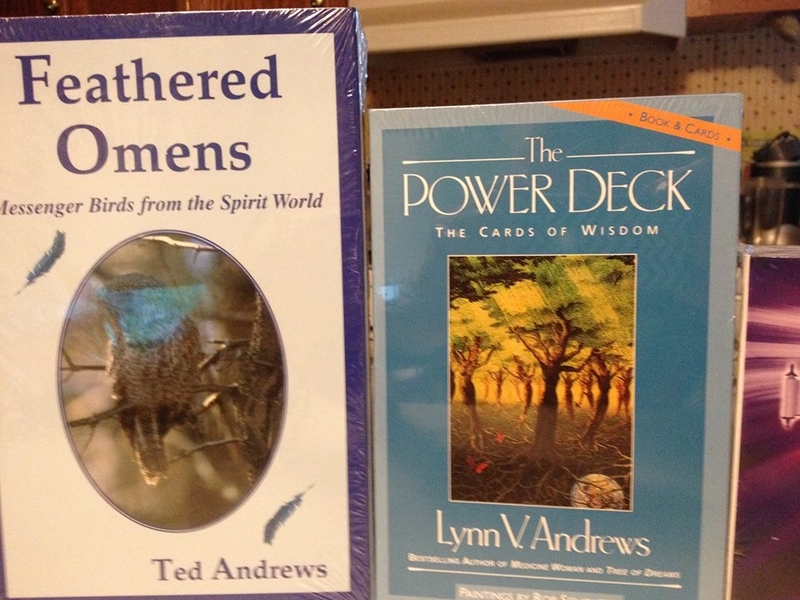 The Chalice of Magdalene by Graham Phillips $16, Spirit Woman, The Teachings of the Shields, previously published as Flight of the Seventh Moon Lynn Andrews $13. Beautiful New Angels in Silk bag with prayer. Angel of Love, Serenity Heart, an angel inside a heart shape with prayer, Help to teach me so I know when to stop and when to go. Time for rest, or time to fly, Learn when to let the past go by. Heal the pain, heal the strife. Know the wonders of this life. Heaven sent from up above, The Angels send this gift with love. $8. And Angel Wishing Star, same as above in a star shape with silk bag, with prayer, Angel Blessings, Hold this star within your hand See the Angel, if you can. Visualize, be very clear. Close your eyes, release the fear. Go beyond where you have been To find the wisdom held within. Ask for help so you can see God's newest opportunity. Take the risk, go with the flow. Count your blessings as you go. $8. NEW BOOKS and ITEMS: The NEW Dictionary of Spiritual Thought, The definitive guide to over 3000 of today's most important Western and Eastern esoteric and spiritual concepts, by Carol Parrish-Harra, Expanded 2nd Edition, almost 400 pages @ $25, I think every lightworker needs this book, I use mine almost DAILY ! Natural Healing for Dogs and Cats, by Diane Stein $17. This is a MUST own for anyone who owns Cats and Dogs. It covers, massage, herbal remedies, acupressure, psychic healing, muscle testing, chakras, oversouls and much more. A MUST for dog and cat owners, kari. Energy Medicine $17 by Donna Eden, This book is truly the very best book I have read and have come across for energy workers and healers, it literally covers it all ! Twelve Powers in You, by David Williamson at $12, This is an excellent, easy to read resource for those seeking empowerment and fulfilled, meaningful lives. The Masters and Their Retreats, by Elizabeth Clare Prophet $20, this is a GREAT book. A Life of Miracles- Mystical Keys to Ascension, by Almine $20, An Extraordinary Guide to Living a Life of Mystery and Miracles. The Proposing Tree by James Twyman, $17, a love story. American Indian Myths and Legends by Richard Erdoes and Alfonso Ortiz, 525 pages at $18. I love this book, it gives covers ALL tribes and their teachings, history and the folklore in them all. The Universal Peace Shield of Truths, Ancient American Indian Peace Shield $15 by Rainbow Eagle-Seventh Fire Peace Shield Teachings. I LOVE this book, it truly resonates at my heart and soul level. The Native American Sweat Lodge- History and Legends $13 by Joseph Bruchac. and , Healing Sounds, The Power of Harmonics by Jonathan Goldman, it is a book, at $17 and Jonathans award winning CD of the year for the last 2 years, Chakra Chants at $17 and hot off the press Chakra Chants 2 @ $18. An Illustrated Encyclopedia of Traditional SYMBOLS, by J. C. Cooper @ $17. ~ NEW BOOK Hardcover: Archangels and Ascended Masters by Doreen Virtue @ $24. Many new Spiritual T-shirts, $30, Will work for Peace, OM in sanskrit , and Love saved the Earth, and many more. Made by ROD and filled with love, light and peace. NEW: Rare and Beautiful ANDALUSITE slabs from Russia. This stone is TRULY amazing. Andalusite is Very Ancient, helps one to see into the past and ground deeply in the Earth. I was amazed with what I felt and had visions of when holding and tuning into this stone, energies of the Crusaders, the Knights Templar, Rome and Joan of Arc. This stone is usually very expensive, but we located a wholesaler that had them at a reasonable cost. Large slabs at $ 6, $7 and $8. NEW ARRIVALS: Beautiful wrapped Sterling Silver Pendants: CHAROITE, A stone for this age. It instills a "brotherhood of light" between the individual and the the total environment of the planet, stone for transformation, $16 and $18. DANBURITE, An Angelic stone of pure white light, beautiful white in color and very large, helps one to "let your light shine" $18. PETALITE, A stone of the ANGELS, a stone of Earth-grounding; hence, one can remain grounded during spiritual "work",$22. PHENACITE now this is a very magical and powerful stone, one needs to be ready for phenacite, brings the way of love, the way of heavenly being, into ones physical reality, provides for a connection with a type of "mother ship" from another dimension, $30. SUGILITE, aka Luvulite, " A stone for this age" it can be used to protect against the harsh realities of this world and to enable one to willingly accept being here and living now, YES ! a MUST stone. Great for all lightworkers, star seeds, walk-ins and indigos, $17. WATERMELON TOURMALINE, the perfect stone for the merging of BOTH the high heart and human heart, pink and green, $18 and $20. SELENITE, access of both past and future very powerful energy, helps to align the spinal column, regeneration of cellular structure, $17 and $18. Healers Gold on SS, $22. Beautiful Chakra Crystal Healing sets: Very large crystals with healing chart and all instructions on how to use the crystals on your energy centers. This set comes with 8 crystals, 2 for the heart which are green and pink. Comes in a silk bag. $20- $7 S and H. Kari created these sets. and on the back it says: Namaste, I honor the place within you where the entire universe resides. I honor the place in you of Love and Peace and Truth ~ And when you are in that place in you And I am in that place in me, There is only One of us." $30 and $7 S and H.
Same company, all Sterling Silver pendants: Large Larimar, Stone of Goddess energies and "stone for Earth healing" vibrates to the master number 55 @ $19 and @ $17, Large beautiful Ametrine, disperses negativity from the aura and fills the voids with energizing and stabilizing qualities of pure light energy @ $17, . KUNZITE, is all about the HEART and LOVE, MAJOR heart activator, It connects one to the infinite source of love, providing for purification on ALL levels. Kunzite is used to remove obstacles from ones path and it dissolves negativity, AUTOMATICALLY raising the vibrations of the area surrounding it, it produces a shield from unwanted energies, @ $19. From the same company : Pietersite pendants, Beautiful blue and golden color- $15. 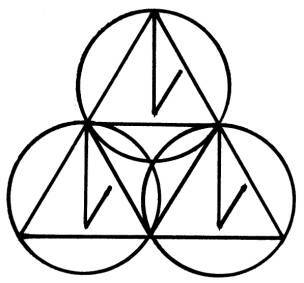 Used in culminating access to the Akashic Records, been said to contain the "Keys to the Kingdom of Heaven ". It exhibits the actualization of the loving energies of the "brotherhood" of Humanity. Meteorites: Both the Moldavite and Tibetan Tektites are meteorites, these stones are a MUST for WALK-INS and STAR SEEDS! These stones are rarer than diamonds, originates in outer space, from the heads of comets, the asteroid belt, from Mars and the Moon. They are recognized as a gift from another world to this world and humanity. Meteorites is an excellent stone to be carried by "WALK-INS"; providing them with a stabilizing effect with respect to the unfamiliar nuances and divergent behavior patterns which may be residual in their "new environments". It provides for cooperative effort between the "new" being and the "old" being. $17 for both the Moldavite pendants and the Tibetan Tektite pendants, we have 2 Tibetan Tektites at $15. More pendants all wrapped in SS: Siberian Cobalt Blue Quartz, from Russia @ $17, Rainbow obsidian $15, Aqua Aura @ $15, Titanium Quartz @ $15, Purple Jade @ $15, Deep Amber @$15, True Carnelian @ $12, Red Garnet @ $12, Kyanite @ $12, and Chrysoprase @ $12. PENDANTS : S & H : For 1 pendant it is $4, for 2 it is $5, for 3, $6. 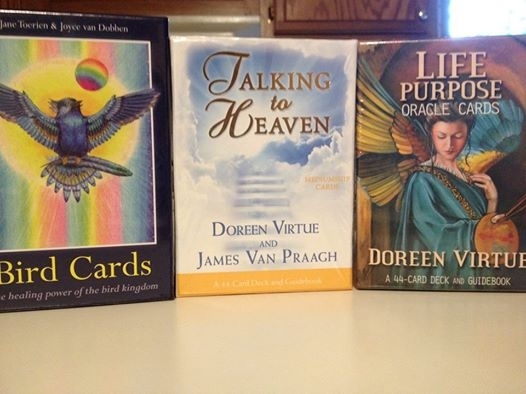 Dorren Virtue, Messages from your Angels book @ $14.00 and cards at $16.00 and Doreen Virtue, Healing with the Fairies book @ $14.00 and cards @ $16.00. Beautiful color dolphin lamented inspirational cards, for daily use, @$15. Blue Chalcedony, $ 2 each. these are TRULY very special, not knowing what they represented I bought these special crystals on intuition and energy. Got home to read about them and now know why I was drawn to them. This sacred stone is used by the Native Americans, promoting stability within the ceremonial activities of all tribes. It is THE stone to encourage "brotherhood" among all. PIETERSITE ~ Beautiful blue and golden color- $1.50. Used in culminating access to the Akashic Records, been said to contain the "Keys to the Kingdom of Heaven ". It exhibits the actualization of the loving energies of the "brotherhood" of Humanity. NEW, THE most beautiful transparent Emerald Calcite, 4 left, $3, $4 and $5. 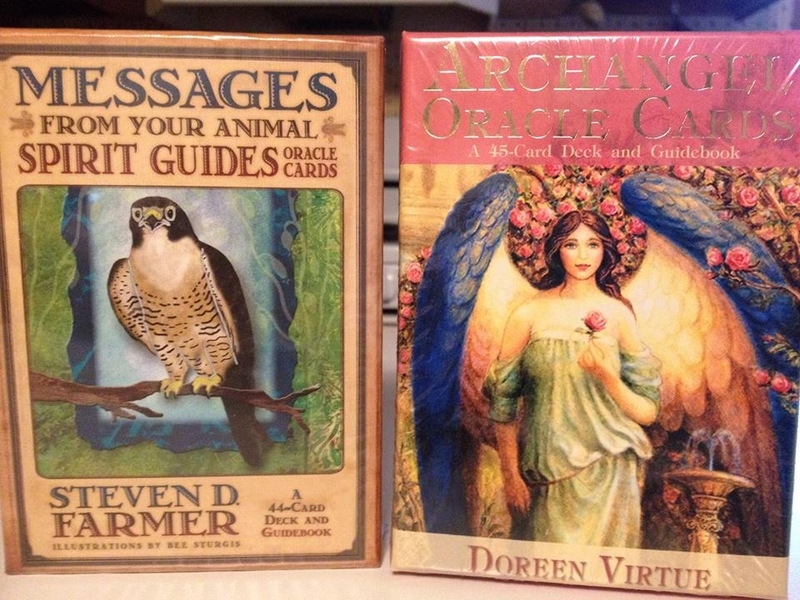 Messages From Your Angels, oracle cards and Healing With The Angels, oracle cards, BOTH card sets by Doreen Virtue, $16.00 each. Jimmy Twyman's Emissary of Love , The Psychic Children Speak to the World, is in ! JUST IN and HOT off the press. The very new and very acclaimed Sacred Sites of Wisconsin- Explore Your Spirituality - John Brain and Teresa Paprock $19.00- This is a wonderful book with over 400 sacred sites around and in Wis. Noted places of worship and pilgrimage, the book includes churches, temples, synagogues, effigy mounds, retreat centers and much more. Nearly 80 photos with maps. With a thorough index and appendices. And the Namaste Retreat Center of Wis. is mentioned in it. Its a great book. Ellie Harold, Where Two or More Are Gathered Together. A new Church for the 21st Century. $15. This is a great book ! The Isaiah Effect. Decoding The Lost Science Of Prayer and Prophecy. $14. And we have 6 of Jimmy's NEW book Emissary of Love, The Psychic Children Speak to the World $16, get yours NOW !NEW ! James Redfield's NEW book God and the Evolving Universe, The Next Step in Personal Evolution $26. hard cover. NEW ! Shirley MacLaine's NEW book, The Camino, A journey of the Spirit.$14.I love this book. NEW ! The Voyagers, The Secrets of Amenti -Vol. 11, by Ashayana Deeane ( Anna Hayes ) $26, this book is AMAZING ! We also have Vol. 1 Voyagers, The Sleeping Abductees , 2nd Revised Edition $16. Vol.3, not out yet. James Twyman's NEW CARDS YES ! The Praying Peace cards $10, these are wonderful with all the peace prayers Jimmy has collected. The book Flight Of The Seventh Moon by Lynn Andrews is another book out of print and we have 3 copies from $7. - $11.00. Angels Don't Play This HAARP, by Nick Begich and Jeane Manning- $14.95. The Energy Grid, by Bruce Cathie- $15.95~ Both of these books cover how gravity electricity and magnetism manifest from a unified field around us, free energy, Tesla, suppressed technology, Unified Equations, Pythagoras and the Grids, Ancient Maps, and more. We were finally able to locate more data on the Super Chinas children, in which Drunvalo and many others are speaking about. NEW ! The Mothership Chronicles- A Wider World of Hope and Joy, by Jane Egan $19.NEW ! Messengers of Hope, The Walk-In Phenomenon, by Carol E. Parrish-Harra. This is the EXPANDED version. This is one of the most profound books that I have recently read, this book is a must $20. We also have 2 more of Carol's books The New Dictionary of Spiritual Thought, this is a wonderful spiritual dictionary $15. Adventure in MEDITATION, Spirituality for the 21st Century , Much More than a Meditation Course $18, I have meet Carol a few times and she is amazing. NEW ! Welcome To Planet Earth- A guide for Walk-Ins and Starseeds by Hannah Beaconfield. Another wonderful book with much on other spiritual topics,$15. NEW ! Saint Germain on ALCHEMY, Formulas for Self-Transformation, by Prophet- I LOVE this book, it has many processes in it that WORK, A must read in my book, includes a 117-page glossary of alchemical and spiritual terms, $8. NEW ! Blue Corn, the kernels. Use in ceremony as offering. Comes with a muslin bag for the corn, $2.50. Medicine Cards and book- the revised and expanded edition by Jamie Sams..
Kinnick Kinnick ( bearberry, mullen, red willow bark, osha root and yerba santa ) $5 per ounce..
BioSonic Repatterning, developed by John Beaulieu,N.D.,Ph.D., is a natural method of healing using tuning forks based on the sonic ratios inherent in nature. When we tap the tuning forks, we produce pure musical intervals based on precise mathematical proportions known as the Pythagorean tunings. When we listen to these intervals we create an archetypal resonance resulting in a physical and psychic repatterning of our mind, bodies, and spirit. This takes place on the physical level within the inner ear by stimulation of the cochlea and semi-circular canals. The tuning forks are tools to help you develop and refine your sonic abilities. As you listen to two different tones your body will naturally adjust itself and come into balance. The interval of C and G was considered in interval of the mystic by Edgar Cayce and other psychics. ANGEL TUNERS---3 tuning forks, and velvet bag $ 65.00-- The Angel Tuners are a set of three Crystal Tuners that are ascending in pitch. Together these ascending pitches represent the archetypal images of Jacob's Ladder and the Stairway to Heaven. The Angel Tuners open our spirit to and with the Angelic Kingdom. The Angel Tuners are based on the ninth octave of the overtone series. BODY TUNERS and velvet bag--- $ 55.00-- The Body Tuners consist of two tuning forks, the C and the G, they create a ratio of 3/2 or the perfect fifth. . Body Tuners are a special interval known in music as a perfect fifth. Lao Tzu referred to this interval as the sound of universal harmony between the forces of Yin and Yang. In India ,the fifth is believed to create a sound through which Shiva calls Shakti to the dance of life. Apollo, the Greek Sun God of Music and Healing plucked the fifth on his Sacred Lyre to call dolphin messengers to Delphi and C and G was considered in interval of the mystic by Edgar Cayce and other psychics. OM TUNER and velvet bag--- $ 55.00 (double-headed fork tuned to resonate with the "Cosmic Om" ) The rishies or spiritual masters of India believed that the musical tone "sadja" or "sa", which means the father of all others, to be the musical sound which resonates with the never ending primordial vibration " OM ". The Cosmic Om. This has got to be my favorite to use, it has weights on the end of the fork. Feels great on the crown and down the spine. OTTO Tuner and velvet bag- $ 55.00- ( doubled-headed fork ) Resonates with the tones of Mother Earth, a very deep sound. CRYSTAL TUNER and velvet bag---$24.00, Crystal is included ( vibrates at 4096 cps; will cause crystals to resonate also ) The ninth octave of the upper overtone series begins with 4096cps and is said to open the doorway to angelic kingdoms, it is said that this octave united Heaven and Earth and would bring forth a new era. The sound created by the crystal and the tuning fork bridges Heaven and Earth The crystal as Earth resonates with upper overtone frequency of the tuning fork. A resulting pulsation takes place between the crystal and tuning fork. SOLAR HARMONIC SPECTRUM--- $200.00 , set of 8 forks: C, D, E, F, G, A, B, C with carrying bag. This set contains a full octave of tuning forks ( C,D,E,F,G,A,B,C). When played together they create series of overtones to help you relax and center yourself. Tuning Fork Demonstration ( 50 minute video) by John Beaulieu--$ 35.00-Shipping/ Handling is extra. Click here to read the MIRACLE Kari experienced with the Amega Wand with medical proof.